The DC Gallery line of PVC statues accelerates with another addition to the Dark Nights: Metal series of sculptures - Red Death! With bat-shaped speed lightning whipping around him as he screeches to a halt, this Speed Force-empowered Batman is the perfect addition to any Batman or Flash collection! 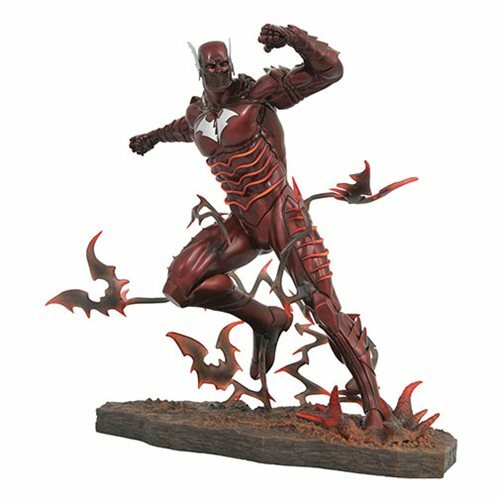 The DC Comic Gallery Dark Nights Metal Red Death Statue stands 10-inches tall and features detailed paint applications and comes packaged in a full-color window box.